With a 350-acre campus, the University makes every effort to manage its land in an effective and sustainable manner. We believe that a combination of creating new environmental programs, enhancing the land we already have, and involving the community in our efforts will be the most constructive way to create a more sustainable campus. University of Richmond has also adopted an Integrated Pest Management Plan (IPM) that establishes a sustainable approach to managing pests. The IPM combines biological, cultural, physical and chemical tools in a way that reduces economic and environmental risks and protects the health and safety of students, faculty, staff, and visitors from pest and pesticide hazards. 263 of 322 campus acres are managed under the IPM. Though we do not have an official sustainable landscape management plan, initiatives exist on campus to steward grounds. All new construction on campus avoids the use of irrigation systems by using native plants and less water-intensive plantings and any existing plant material and trees are moved to other locations on campus when possible. An Arboricultural Plan completed in November 2013 is used to assist in the management of 13 acres (144 trees) in the historic core of the campus. In 2015, Landscape Services and the Office of Sustainability held two tree planting events in which students, faculty and staff planted 66 native trees, 4-7 feet tall. Investigating opportunities for improving the local watershed, including Gambles Mill Trail retrofit projects, transportation changes, community outreach programs, and other projects, including those identified in the Campus Master Plan. Explore a 2017 Earth Lodge student project about the Gambles Mill Trail. University of Richmond has an organic community garden adjacent to the Country Club of Virginia golf course, which offers plots for students, faculty, and staff to grow their own produce. Space is limited and sign-ups open up each spring. Learn more on the garden's web page. 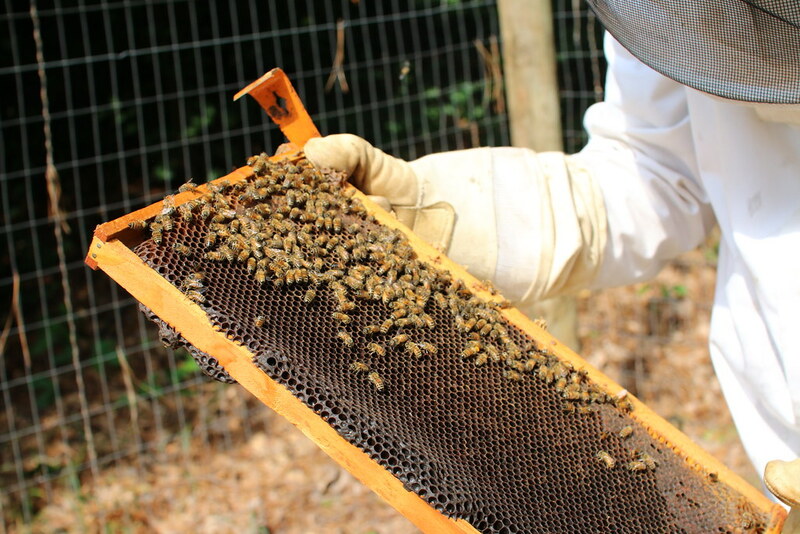 University of Richmond has two beehives on campus as a sustainable and educational response to bee populations' global decline, which has the potential to influence the stability of local and global food-systems. We rely on honey bees to pollinate many of our crops and these creatures add an estimated $15 billion to our agricultural economy, so their decline is not only a sustainability issue, but also an issue of food security. 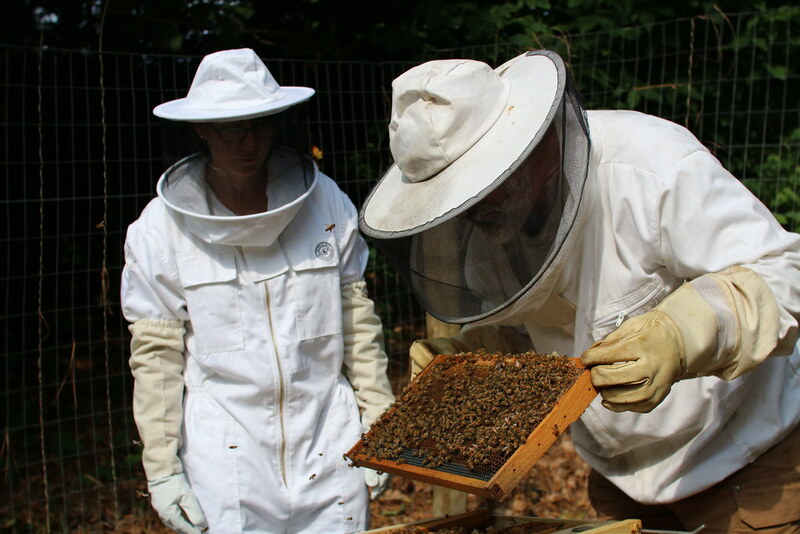 The University's beekeeping initiative responds to this decline by engaging faculty, staff and students in research and learning opportunities. Research possibilities include the observation of hive behavior and investigation of environmental conditions that affect the species. Biology and Environmental Studies students will maintain a pollinator garden that includes apple and peach trees, as well as shrubs and flowers to attract bees and butterflies. 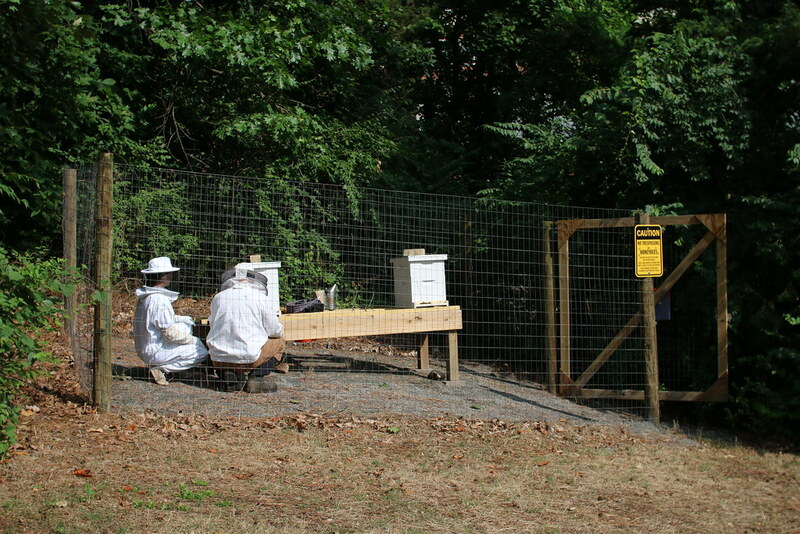 The hives are between the Wilton Center by Cannon Memorial Chapel and the steam plant. This initiative is a collaboration between Facilities, the Department of Biology, the Office for Sustainability, Dining Services, Public Safety, faculty bee experts, and the School of Professional and Continuing Studies.